In the same car, she entered the JCC’s Brooklands Rally. The results of this event have been lost, but she does not appear to have won. Fay Taylour won the Ladies’ Prize. 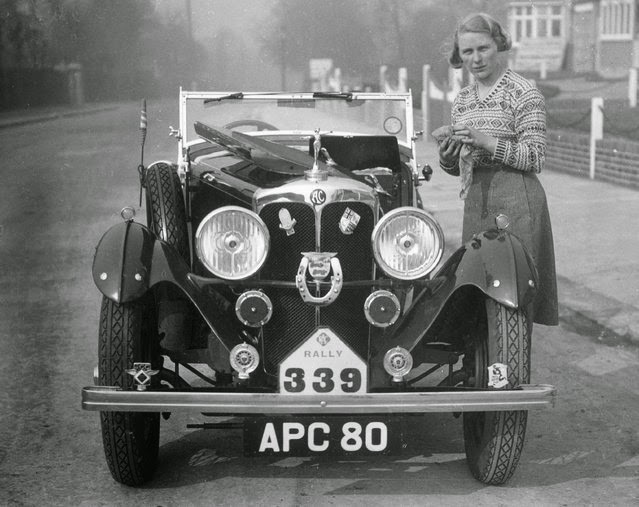 Kitty had been rallying since 1929, when she was second lady on the Monte Carlo Rally, behind Lucy O’Reilly Schell. She was driving a Talbot Six. Remarkably, she was only seventeen years old at the time. She had been interested in rallying for some time, and even earlier photographs show a fifteen-year-old Kitty acting as a mechanic on another car.